This swap exchange will be an exercise of the imagination. With a store-bought or a well done handmade postcard, tell a short story as to what is going on in the picture on the front. 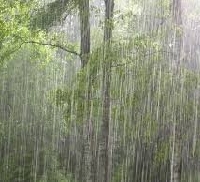 An example: the picture shows a rain-soaked forest. The story could be: "I was walking through the quiet forest, doing some bird-watching. Suddenly, rain started pouring down, soaking me to the bone. Just as suddenly as it started, the rain stopped. I laughed at my situation." Let's put our muses to work to help us create some uplifting or humorous stories. You will have one swap partner. This swap will be open to newbies (with well filled out profiles that are more than a couple of lines), as well as experienced swappers with a 3+ score. I will be checking profiles. I reserve the right to eliminate signers at my discretion (eg: if their profiles don't meet the swap requirements). We all know that things happen in life, so if you can't get your swap out or you don't receive one, please let me know ASAP, so I can "Angel" the situation. Please remember: title of swap & user name on PC, proper postage, mail on time & rate promptly. Also. please be kind in your rating. If the sender lets you know that their mailing will be late, please take that into consideration. We're all here to have fun & to spread the love & friendship. I look forward to a fun-filled swap. Love to all.